We have so many great things to stuff stockings with this year! 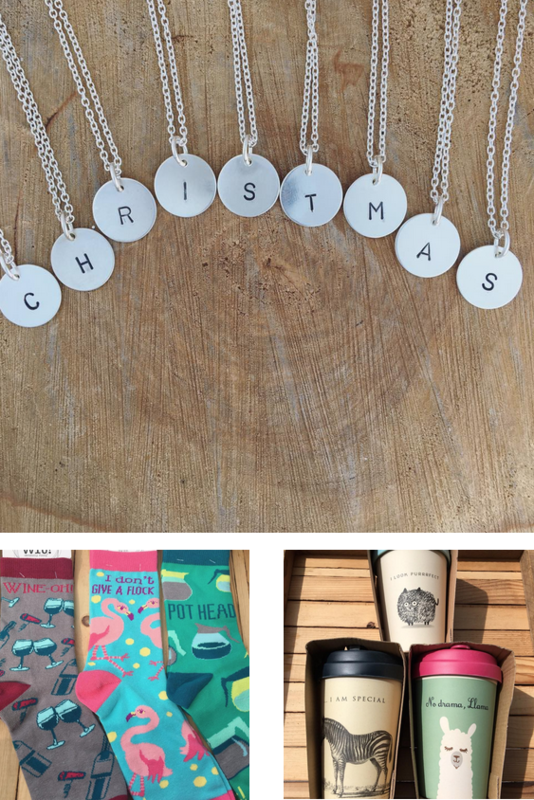 We have so many great little thing that make great gifts for everyone on your list! Valerie Davidson Initial Pendants make a simply stunning surprise for only $38! We have an assortment of funny socks and bamboo travel mugs that will guarantee to get a laugh! Alex and Ani, Glass House Goods, and so much more! Need a little something for the jewellery lover in your life? 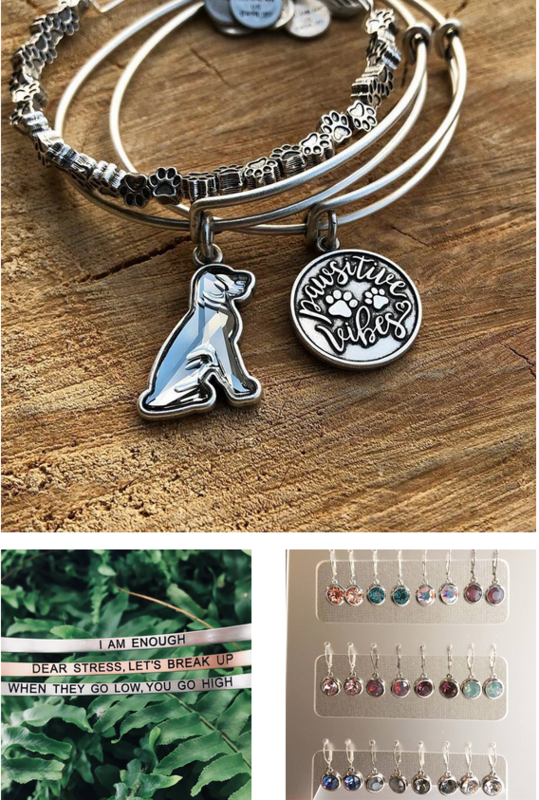 Send a sweet message with an Alex and Ani, or give them some sassy encouragement with a Glass House Goods bracelet! 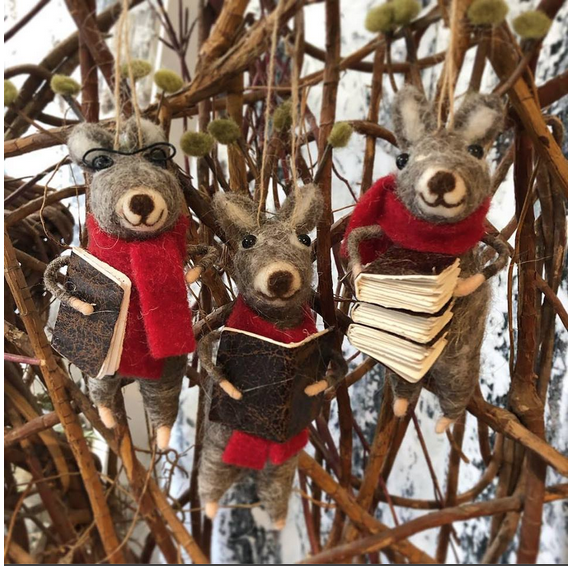 This year we have the cutest selection of tree ornaments, these adorable reindeer plus foxes, penguins, Santas, and so much more! 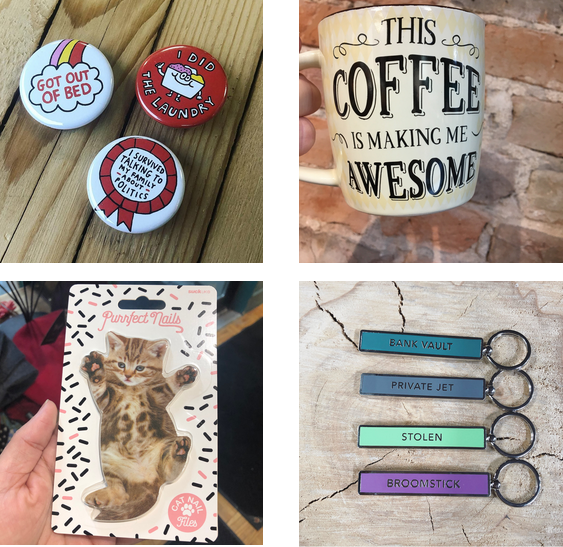 Come visit us in store to see all the other wonderful things we've got this year!